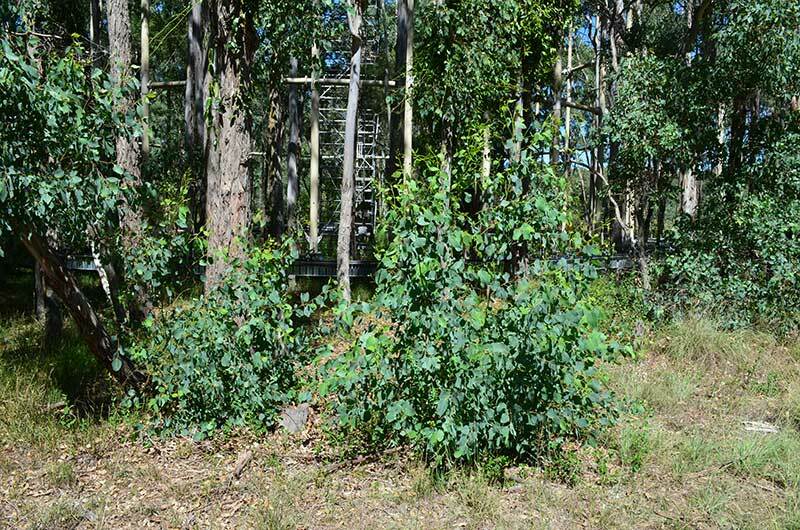 Professor David Ellsworth and Dr Matthias Boer are investigating how rising atmospheric CO2 concentration affects the relative abundance of grasses and shrubs in a woodland ecosystem. 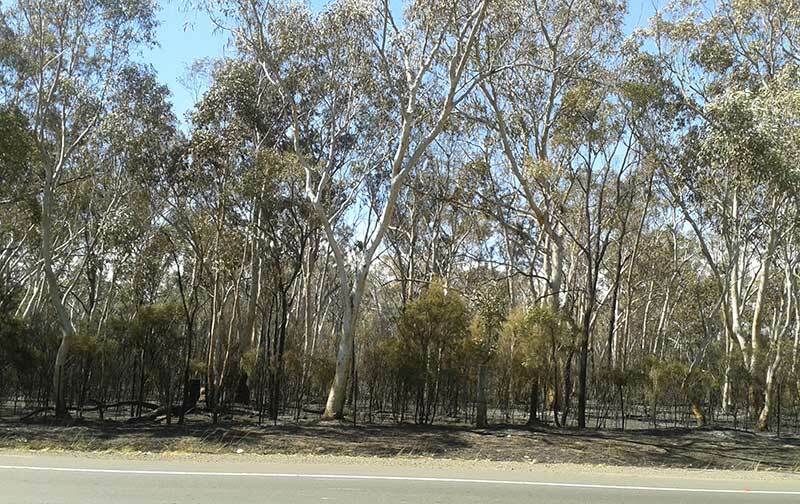 The Australian Research Council (ARC) Discovery Project will particularly examine the links between CO2 and changes to soil water levels and fire risk. In 1846 Major Sir Thomas Mitchell, explorer and surveyor-general, sketched the sparsely timbered slopes of the Carnarvon range in central Queensland. A century and a half later, a contemporary artist returned to emulate Mitchell's sketches but found the same hills densely covered with trees and shrubs. This graphic account of increasing woody plant cover, termed "woody thickening", echoes what has occurred elsewhere in Australia as well as in Africa and the Americas. A large body of indirect evidence points towards increasing global atmospheric CO2 concentration as a major driver of woody thickening but this hypothesis remains contentious. "Woodlands and savannahs cover nearly 45 per cent of the vegetated part of Australia and are subject to imminent ecological change", explains Professor Ellsworth. "These woodland landscapes have experienced widespread shrub expansion in the past century due to changes in fire, grazing and atmospheric CO2. 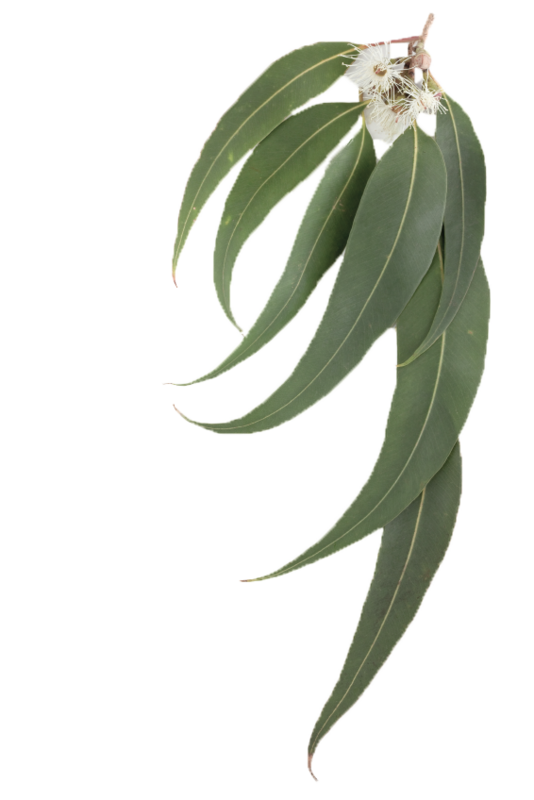 Eucalypt woodlands and savannahs play significant roles in balances of carbon, water and energy, and provide habitat for the other plants and animals of the region." This project seeks to quantify implications for the composition, structure and functioning of woodlands in terms of their capacity to sequester carbon, regulate water and energy balances and house native biodiversity. The study involves a pioneering field experiment to test the effects of elevated CO2, providing the first strong evidence on how water savings induced by increased CO2 alter the abundance of grasses and shrubs (promote "woody thickening", in other words) and affect woodlands flammability. Increases in soil water content, grass biomass and woody plant density may shorten the fire season, increase the fuel load during the season and possibly cause fires to reach higher into the tree canopy. 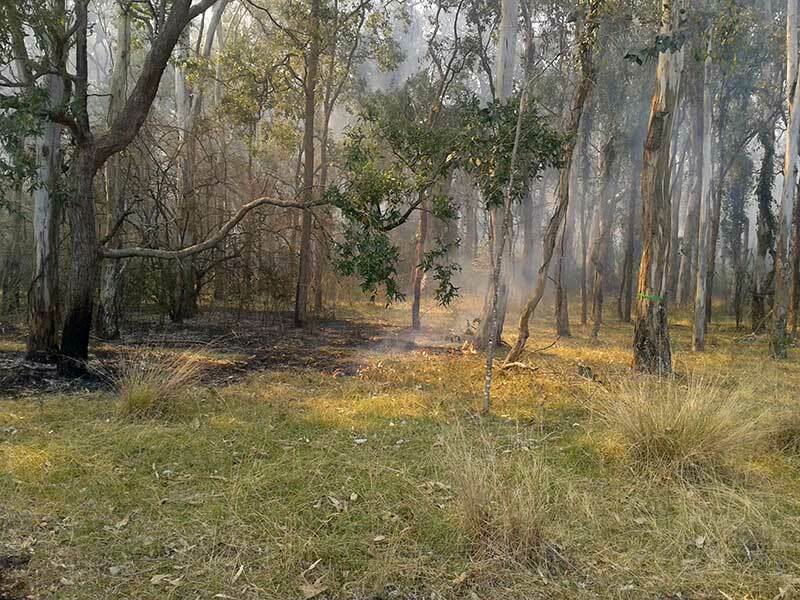 The project informs the larger issue of how to adapt fire management of native bushlands under global climate and atmospheric change and help to manage Australian woodlands into the future. This project (P00020787) "When fire and water mix: do carbon dioxide-related water savings drive woody plant thickening and fire dynamics in a grassy woodland?" is funded by the Australian Research Council.